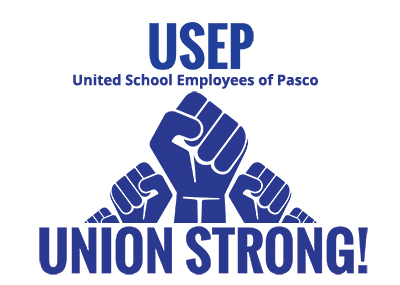 The Union and District Instructional Bargaining Teams met again last evening and were able to resolve several contractual issues that had been at “Impasse”. The objective of several informal conversations and the bargaining session last night was to attempt to resolve the remaining issues and reduce the number of issues at Impasse. This was accomplished through the parties working together and progress was clearly made. We know that there is some confusion over the email note from the Superintendent this morning explaining the outcome of last night’s session and we wanted to provide our members with our explanation to address the overall status of this year’s negotiations. Salaries: The District did suggest an alternative proposal on instructional salaries, since Impasse was declared, that was predicated on the fact that the total number of teachers still eligible for a salary increase this year had been reduced due to retirements, resignations, etc., and the dollars available for increases, which are unchanged from the last proposal ($,4,942,045), were distributed to fewer teachers overall and therefore the total amount per teacher increased. This resulted in overall average increases ranging from 1.7% to 2.7% based on the category of teacher which is dictated by state law and last year’s summative evaluation. This proposal actually adjusted the salary increase for all employees to more than USEP’s last proposal, so we accepted in an effort to finalize financial discussions for this current school year! Involuntary Transfers and Reduction in Force: After months of haggling over how these important procedures will be handled this year (April – August 2019), the parties simply agreed to pull our mutual proposals on these 2 procedures and use the current contract language that exists and has worked very well. We may have to address these procedures again in the next round of bargaining, but again, to move this process forward this year, we all agreed to use the current language. Therefore, for the Spring 2019 Transfer process, we will revert back to the existing language that has worked well for us in the past. Differentiated Accountability: This memorandum impacts teachers at schools that have earned D or F grades and teachers within them that have VAM scores that are less than “effective.” There is still work to be done with this MOU and therefore a full explanation here it too difficult to address without confusing people. Our basic disagreement is with the Professional Development language. Let it suffice to say that progress has been made with this state-required process, but the parties ended the evening recognizing additional work is necessary. Teacher Evaluations: As you may know by now, this critical process is again an issue and is at the center of the impasse discussions. The District has taken the position that this process, which has been negotiated diligently since 2011, is now strictly a “management right” and this means they would not bargain the details of the process that all teachers have become familiar with since state law changed creating Highly Effective, Effective, Need Improvement, etc. This is a real issue and USEP is concerned with acquiescing to the District’s position and having no ability to negotiate this process each year. As you should know, your annual summative evaluation impacts your employment status and salary increase each year as well as the flawed but state-mandated “Best & Brightest” bonus program. So – this is the one issue USEP believes will be taken to a federal mediator or a state-designated Special Magistrate if we move to a full impasse hearing. 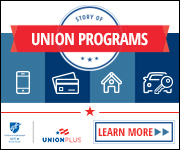 Finally – it should be stated that your union is taking the only steps available to us when local bargaining reaches a stalemate. We do this in an attempt to obtain the greatest financial and employment related securities we can for our members – and this includes the mediation and impasse processes. These are the avenues available to us by state law and YES, they do take time. We will endeavor to resolve all issues prior to the May 31st date, which is when the District may lose considerable financing through federal grants that are not used by that date. We believe both the District and Union are intent on getting this done by that date and every effort will be made to do so.